Update: Winners announced! Competition now closed. Winners were announced on our Facebook and Instagram accounts Thursday April 27 2017. Entries for this competition are no longer being considered. Thank you to all who got involved, and helped us to create awareness of these beautiful creatures who call our local waters home! Congratulations to our three Turtle Naming Comp winners! 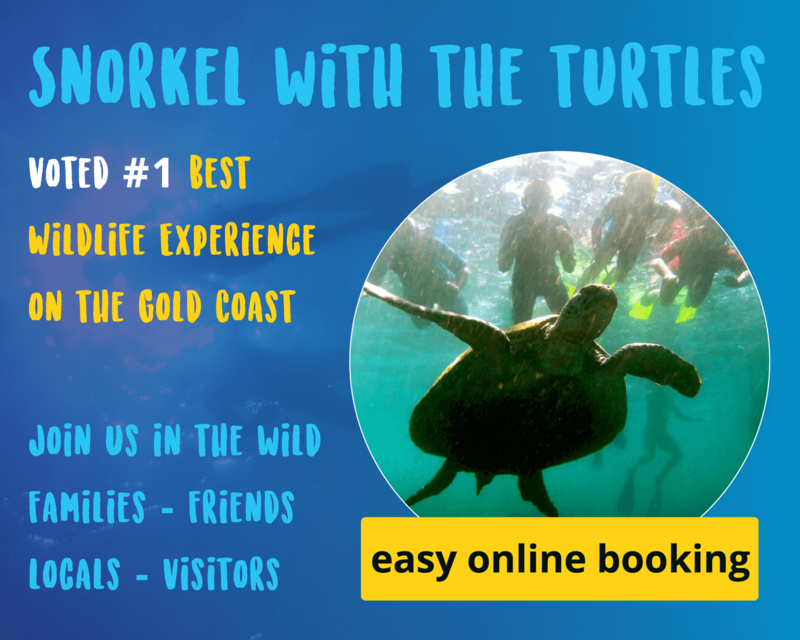 You’ll all be enjoying a FREE Snorkel with the Turtles Tour with us! 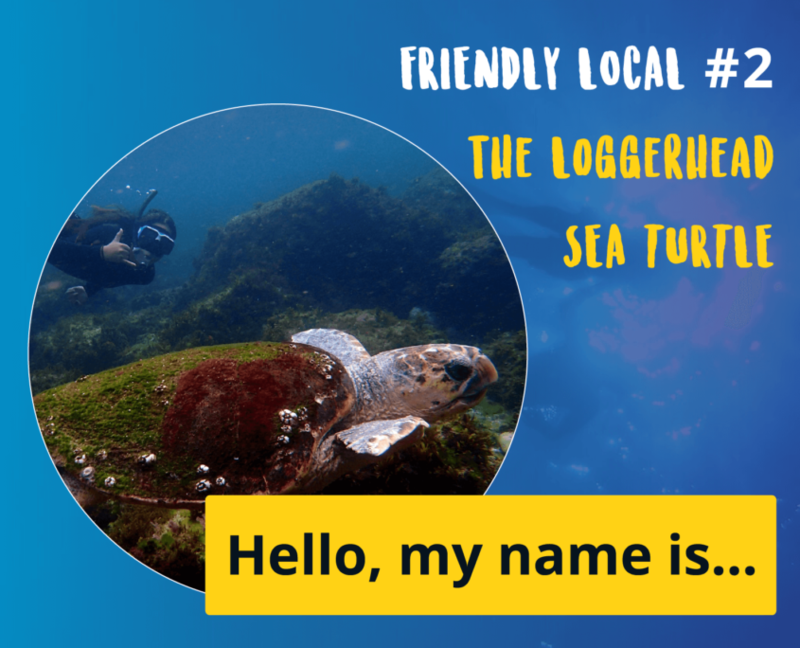 Would you like to be part of an awesome competition to name a few of our special locals of Cook Island? 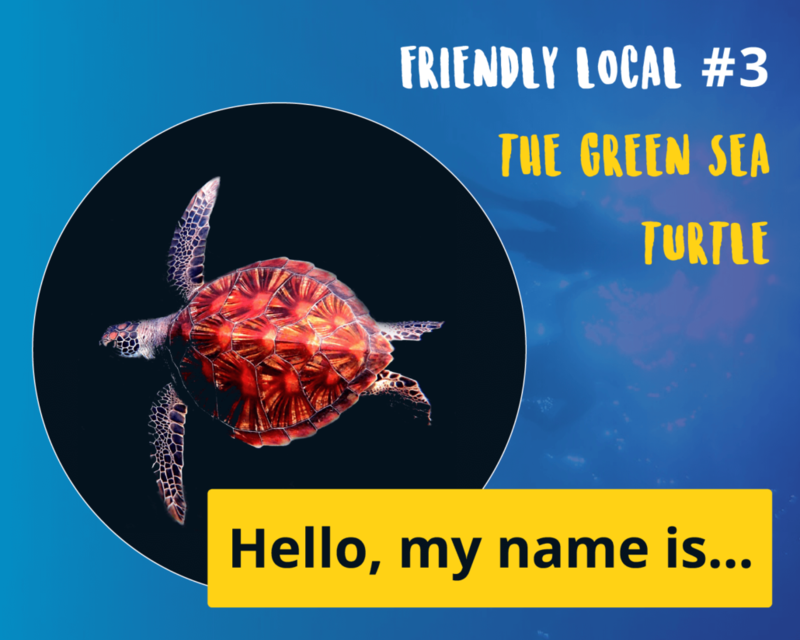 With a lot of time & experience in the water, WaterSports Guru was able to befriend & ID a few of the friendly local sea turtles and we would love you to choose a name for them! Sea turtles are one of the most beloved creatures. They are ancient and some turtles have been swimming the Earth’s oceans for well over 100 million years, even pre-dating many dinosaurs! Out of the seven species of sea turtles roaming the world’s oceans, three of those species find their way to the shores of Cook Island on a regular basis: the Green Turtle (Chelonia mydas), the Hawksbill (Eretmochelys imbricata) and the Loggerhead (Caretta caretta). 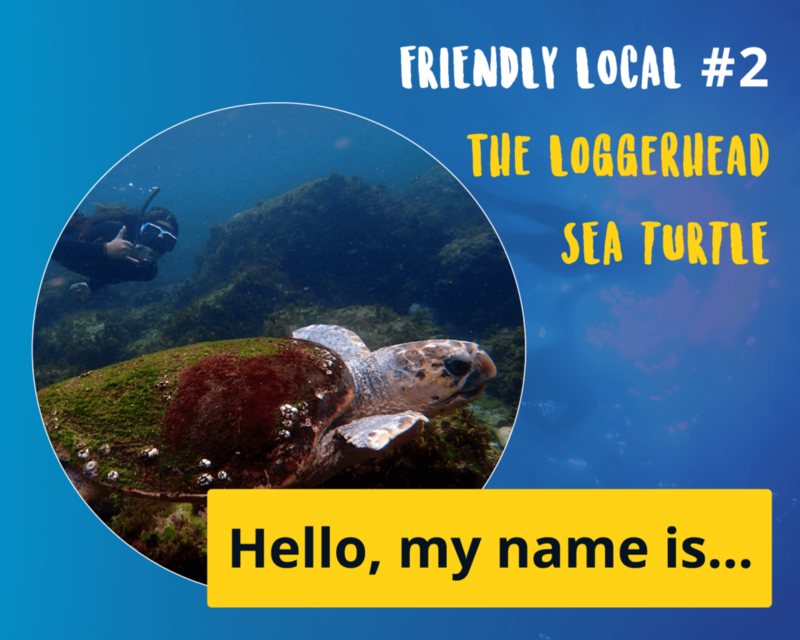 The WaterSports Guru Turtle Naming Campaign hopes to raise awareness about these special ancient animals. Identifying individual marine turtles is important for understanding population dynamics. 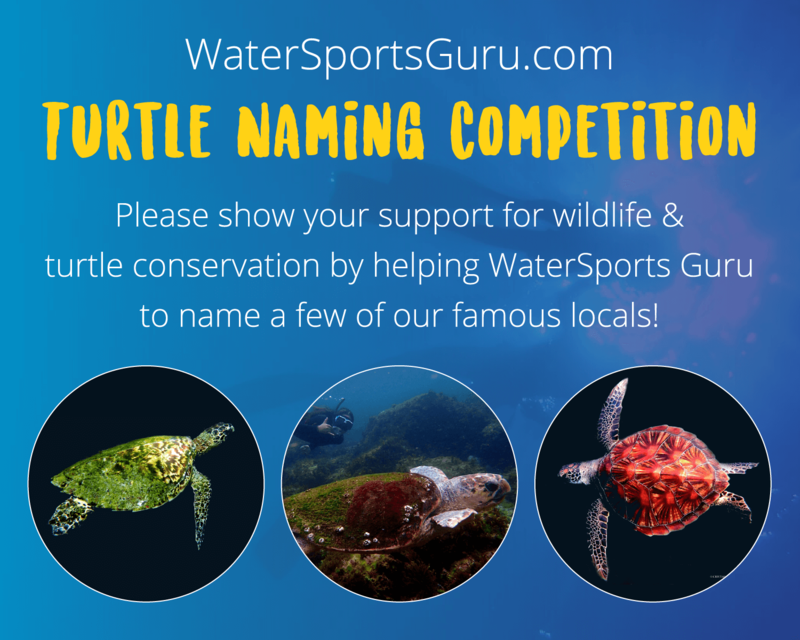 Please show your support for wildlife and turtle conservation by helping WaterSports Guru to name a few of our famous locals! 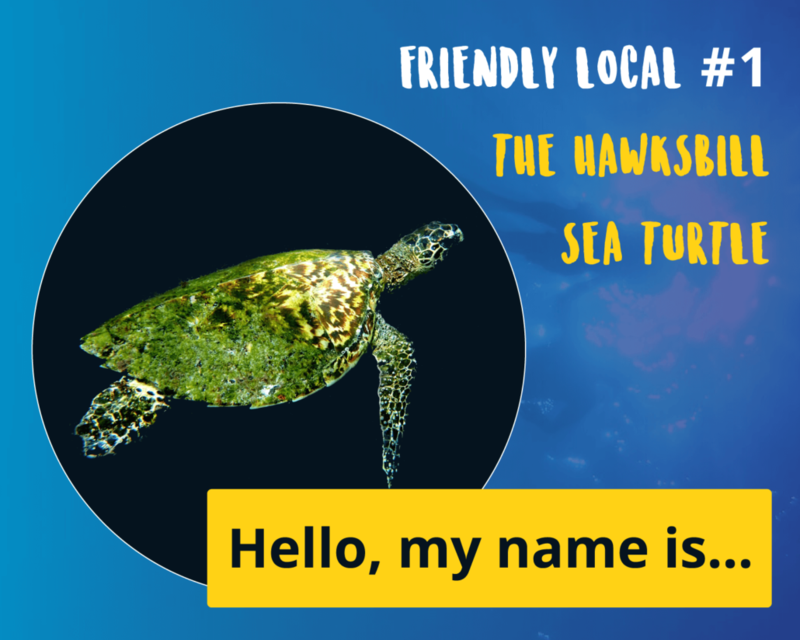 Visitors and locals are all encouraged to learn more about these flippered friends, and do their part to bring our turtles off the endangered and threatened species lists. Simply leave your name suggestions for our three friends in the comments at the bottom of this page. For example: 1: Bill, 2: Fred, 3: Ginger. You can also join in by posting your name suggestions as comments onto the upcoming posts on our Instagram or Facebook – keep an eye out! Please share this competition with your friends – let’s create awareness for local wildlife and turtle conservation. Winning names will be announced mid April. Good luck! Hawksbill turtles (Eretmochelys imbricata) are one of the smaller turtles, adults weigh between 45 – 90 kg and can reach 1 meter in length. This species inhabits tropical and some sub-tropical regions in the Atlantic, Pacific, and Indian Oceans. Australia is home to one of the largest hawksbill population. Considered by many to be the most beautiful of sea turtles for their colourful shells, the hawksbill is found in tropical waters around the world. They spend their time in coral reefs, rocky areas, lagoons, mangroves, oceanic islands, and shallow coastal areas. Adults live among healthy coral reef communities. Their diet is very specialised, feeding almost exclusively on sponges but they also eat other invertebrates like sea cucumbers, sea squirts, crabs, sea stars, and mollusks, as well as some algae. Hawksbill turtles are particularly threatened by wildlife tread. They are much sought after throughout the tropics for their beautiful brown and yellow carapace plates that are manufactured into tortoiseshell items. Hawksbills are considered Critically Endangered around the world. Its carapace, brightly coloured with intricate designs, is traded internationally for ornamental purposes. The shell is used for items such as jewellery, combs and brushes, and inlay in furniture and other decorative pieces. Despite the fact that the international trade of their shells is now illegal, there is still a thriving black market. One of the larger species of sea turtles, the loggerhead turtle (Caretta caretta) ranges from 90 – 180 kg and up to 1.2 meters in length. They occur throughout temperate and tropical regions and are found in every ocean around the world. They are named for their large head and strong crushing jaw (right) which enables them to eat hard-shelled prey such as crabs and snails. Loggerheads carry many organisms on their carapace (shell), like barnacles and crabs. Scientists have identified between 50-100 species of plant and invertebrate animals hitching a ride. These hitchhikers are called epibionts. Their biggest threat is incidental capture (also known as “bycatch”) in commercial fishing gear, including trawls, longlines, gillnets, and traps and pots. Green turtles (Chelonia mydas). The green turtle is the second largest after the leatherback. They can weigh up to 225 kg and reach 1.2 m in length. They live in the warm coastal waters of tropical and subtropical oceans. Adults sometimes eat sponges, salps (floating jelly-like animals), and jellyfish, but they feed mostly on plants, like seagrass and algae. Their beak is sharp and finely serrated, perfectly adapted for grazing in seagrass beds and scraping algae off of hard surfaces. Their name comes from the colour of their fat, not their shell, as commonly believed. Green sea turtles are able to hold their breath for hours at a time. Population declines are mainly due to harvest for eggs and meat for human consumption. Other threats include ingestion of marine debris, boat strikes, coastal development, feeding habitat degradation, and incidental capture in fishing gear. Populations of female nesting green sea turtles are estimated to have dropped by 48% to 65% in the past 100 to 150 years. To reach their nesting grounds, green turtles migrate long distances, traveling back to the beaches where they were born. They are listed as Endangered in the world by the IUCN Red List. Join in by adding your name suggestions for all three local turtles to the comments below!